The Furibee GT 215 Fire Dancer packs an impressive lineup of components at a budget price. 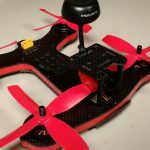 From racing to freestyle, the Furibee Fire Dancer is a great entry level quad that should work in almost any flying situation you throw at it. Though it does require some modifications to get the most out of this quad, the Fire Dancer is well worth the work at this price point. What comes with the Furibee Fire Dancer? The Pagoda antenna was a pleasant surprise. 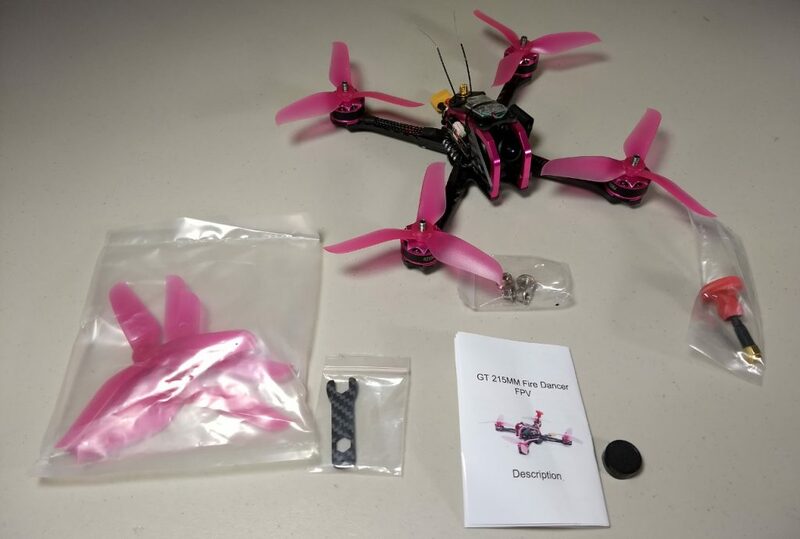 Similarly priced ARFs like the Furibee DarkMax and Eachine Wizard X220 came with a throw-away linear rubber ducky antenna. 215mm x-frame with 4mm thick CF arms (arms are bolt attached). 4-in-1 BLHeli-S 35A ESC with DSHOT. 8GHZ VTX, 48 channel (inc. RaceBand). Output power 25mW / 200mW / 600mW. 859H CCD camera with 2.1mm lens, 140-degree FOV. 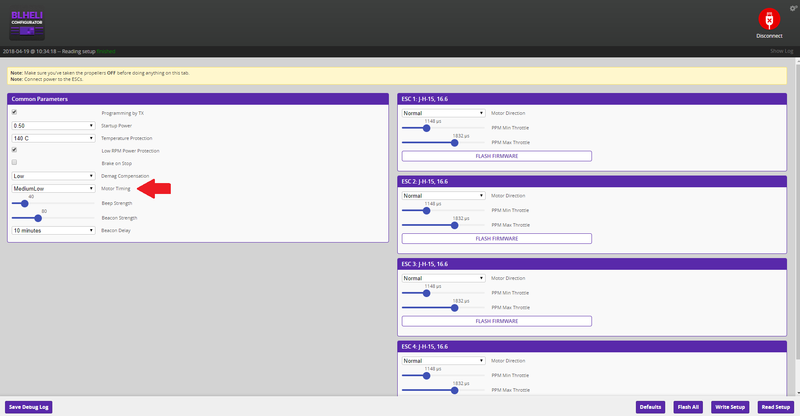 Receiver options: DSMX, FRSKY, FLYSKY, PNP. The FPV camera is listed on Gearbest and in documentation as CCD 1080P HD video. This is clearly not the case and is probably a translation issue in the specs. The camera does function great in various light levels but is not a CCD 1080P HD camera! The receiver for the FRSKY version ships with a D8 receiver. Worth noting if you plan on flying at longer ranges. The PNP version might be the best value for your money if you can get your hands on a different receiver. Starting off, the Fire Dancer looks great! I love the sleek design, colors, and compactness of the build. Aesthetically, I think Furibee knocked it out of the park on this one! The pink purple aluminum looks great! Additionally, there are lots of small features that highlight some additional design quality. Braided cables protect the motor wiring and hexed screws are used instead of c-clips for the motors. The flight stack (while compact – we’ll get to that) is clean, easy to access, and all internal wires are tight and clear from the prop arc. The braided cables are a nice touch on a budget quad. There are also a few unpolished bits, which is common with budget ARF quadcopters. The frame edges aren’t chamfered, receiver antennas are unsecured, and there is no non-slip surface for battery mounting. 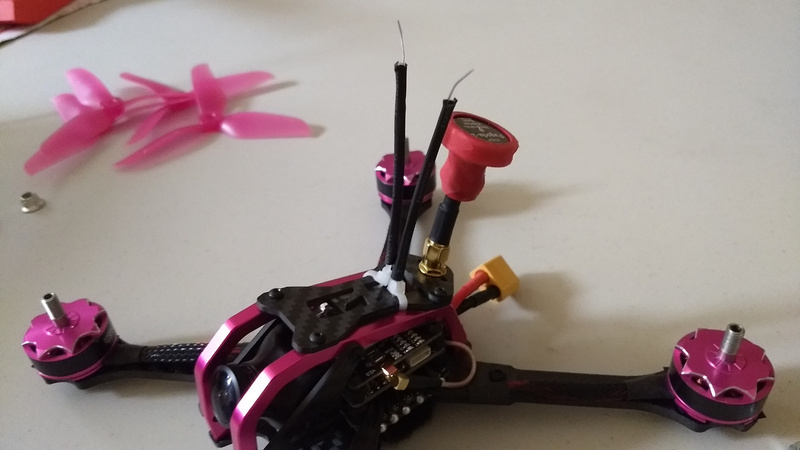 The VTX antenna connector sticks out from the flight stack and looks like it could be an issue in a rough crash. An additional gripe I have is that the flight stack is very tight. There really isn’t a ton of wiggle room for adding larger components in the future. Not a whole lot of extra space -less so when mounting the receiver below the top plate. More importantly, in our initial research on the Fire Dancer, we came across a few consistent issues experienced by the community. First, motor timing issues seem to be very common, and it is highly recommended to make the required fix before flying. Second, video noise issues constantly come up, and adding a shielding modification is advised. It is worth noting that all of the common issues are fixable with some easy to perform modifications. We discuss all these issues and their fixes in the next section. However, pricing wise, the Fire Dancer competes with the budget friendly Wizard X220. From the initial look at the build quality and components, the Fire Dancer offers a ton at such a low price point. Like most budget ARF quads, some modifications are necessary to fly safely. This is fairly common with this class of drones, and we think it is totally fair for the price you are paying. We highly recommend reviewing this list and performing these modifications to get the most out of your drone. We cover a lot of the basic items to review when inspecting your ARF/RTF drone here! You can follow our Betaflight 3.3 configuration guide to make updating Betaflight a breeze. We highly recommend creating a backup of your Fire Dancer’s settings before doing so! 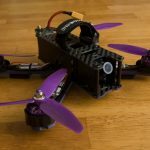 After updating and configuring Betaflight to your liking, you should launch the BLHeli configurator to adjust your motor timing. This seems to be the best solution for preventing the motor issues experienced by the community (big thanks to AndyRC for his helpful video on the subject). 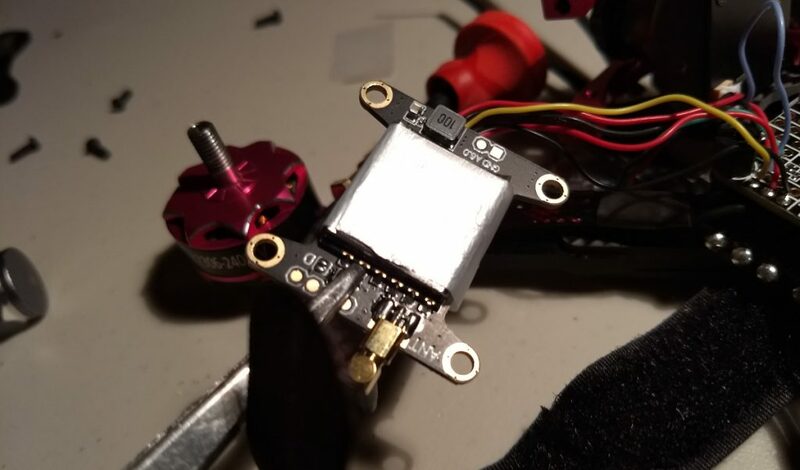 Again, before launching BLHeli, we highly recommend performing an initial quality check and connecting your quad to a smoke stopper. You need to connect a battery to use the BLHeli configurator, so be careful if this is your first power up! Also, be sure to remove the props if they are on! Adjust the “Motor Timing” option to “MediumLow” as seen here. After launching BLHeli, connect to your quad, press “Read Setup”, and look for the “Motor Timing” option. Change it to “MediumLow” and press “Write Setup”. Disconnect and you are good to go. 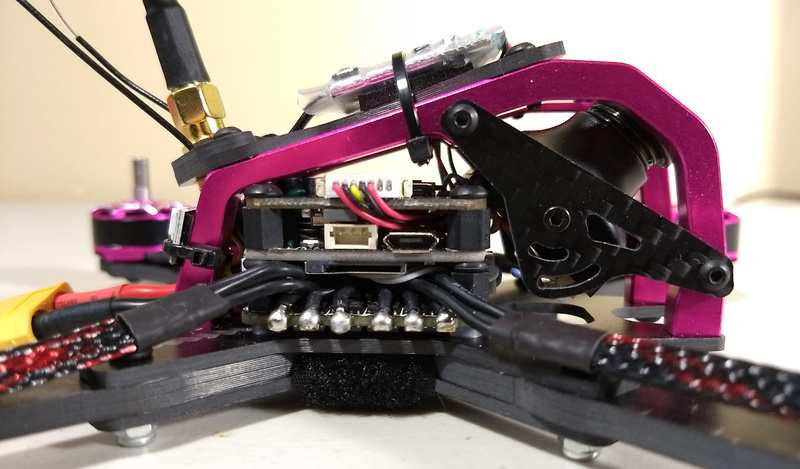 Video noise is a common complaint for this quad, but there is an interestingly cheap solution. Many pilots report that there is not enough shielding between the VTX and the flight controller. The simple fix? Aluminum foil! Take a piece of aluminum foil, fold it over itself, and tape it to the metal underside of the VTX. Be careful not to use too much foil – you don’t want to accidentally short anything by applying foil directly to the circuit board! A small length of foil doubled over and secured by tape should be enough. Super budget solution, but it does seem to help video performance. Simple solution to shield the VTX! The stock prop nuts sit a bit too high on the motor shafts and don’t provide enough grip in our opinion. 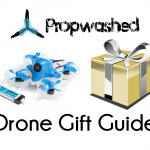 You’ll likely lose them in your first crash as they tend to fly off (along with the props). Ditch these and go with a low profile prop nut instead. The Furibee Fire Dancer doesn’t come with a Velcro or anti-slip attachment for your battery, so you will have to make your own. Simply attach a bit of Velcro or an anti-slip grip pad to the underside of the Fire Dancer and you are good to go! You are going to want some sort of grip for your battery! The easiest way to mount your receiver antennas away from the prop arc. A necessity in any quadcopter build. We want to keep our receiver’s antennas well away from our props. To do so, we used the zip-tie and heat shrink method. Secure two zip ties facing skyward to the top of the frame and slip a length of heat shrink over the zip tie and antenna. Heat to secure everything in place. Many pilots recommend changing the Fire Dancer FPV camera from PAL to NTSC to improve quality. To do so, press the OSD button on the back of the FPV camera. Use your FPV goggles to navigate through the menus and change the video setting from “PAL” to “NTSC”. Click to save, and then exit the OSD screen. The BNF vanilla version of the Fire Dancer has the receiver zip tied to the top of the frame. While this is helpful for the initial binding, we thought the positioning was precarious in case of a crash. Cut off the zip ties holding the receiver in place and secure it to the underside of the top plate using a new set of zip ties. Removing the LED light bar is completely optional, but it made working with the quad significantly easier for me. The light bar is held in place by an extremely short wire that is easy to break or tangle when performing the other modifications. Simply follow the single cable from the light bar to the flight controller, and use a soldering iron to carefully desolder the connection. You can also turn off the LED option in Betaflight after removing if you are so inclined. Additionally, you can remove the beeper while everything is disassembled. While beepers have their uses, this is a subjective preference for some people. As mentioned previously, the components stack in tightly here, so this is a nice time to remove the beeper while everything is accessible. You can soft mount your motors with a few pieces of electrical tape. 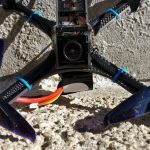 Soft mounting is a great (and cheap) way to get better performance and a slight increase in efficiency. If you are unfamiliar with soft mounting, you can check out our post on it here! 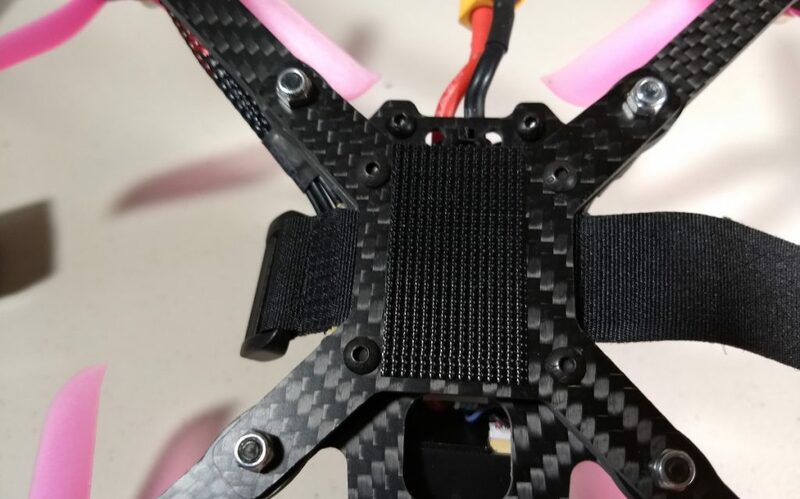 The SMA connector rests on a carbon fiber plate that might not provide enough threading to really tighten down your antenna. If your antenna feels loose on the connector, we recommend removing that back plate entirely. We only flew three packs on the vanilla version of the Fire Dancer. We experienced none of the problems some pilots have mentioned (flip of death, video cutouts, etc.). However, we did take some time to pre-check for obvious problems before our initial flight. We checked and adjusted for tight motors, loose bolts, and any other common problematic issues with ARF quads. 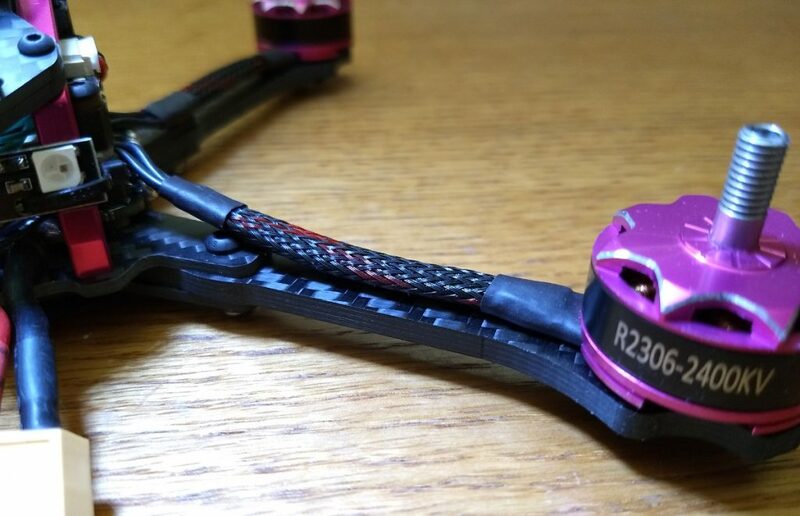 Basically, before getting airborne for the first time, we ran through our “Inspecting your ARF racing drone” guide! Video noise was the only problem we actively noticed on our initial flights. The Fire Dancer was a balanced flier on stock settings, but we didn’t push it too hard as we knew modifications were needed. After our initial flight, we performed the modifications listed in the previous section and returned to the field for more testing. For a budget flier, the Furibee Fire Dancer flies amazingly well. Yes, it did require some modification love before getting pushed, but the end result is worth it. We ran the Fire Dancer through its paces and were very impressed by its performance. Loopy freestyle was easy to pull off, as the Fire Dancer packs a ton of punch that made low to the ground tricks a breeze. Similarly, we raced through, between, and over trees with ease. 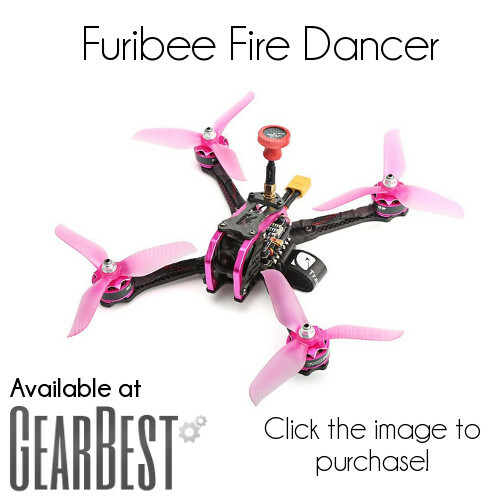 If you are looking to get into any type of flying – whether park cruising, racing, or freestyle – the Furibee Fire Dancer is a great budget option. The Furibee Fire Dancer packs a punch at a budget price. The Fire Dancer definitely offers some competition to the community budget favorite Wizard X220. At a ~$130 price point (shipped), the Fire Dancer is a great low-price option for those seeking an x-style build with under-frame battery mounting. So far, our Fire Dancer has been very durable, surviving numerous crashes and spills. Camera quality functions great in a variety of conditions, the flight stack+motors have tons of pop that allows for loopy freestyle, and the overall design is sleek and looks fantastic! However, the Fire Dancer is not without its faults. 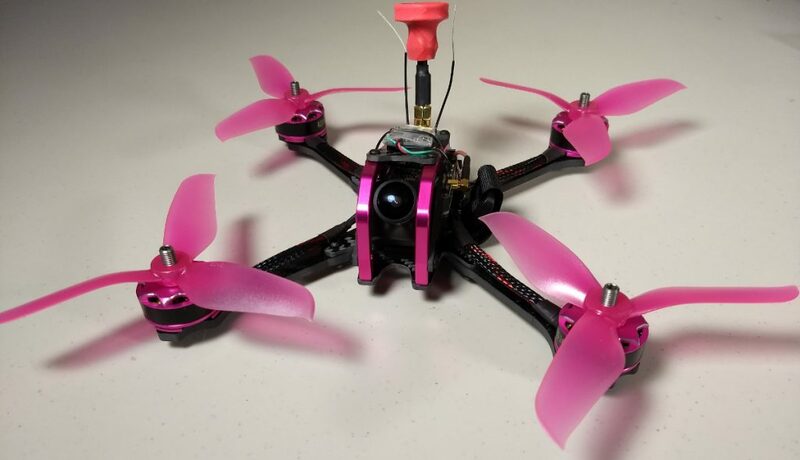 Like many budget ARFs, modifications are required to get the most out of this quadcopter. While all of the modifications are simple to perform, novice pilots expecting a true “ready out of the box” experience may be disappointed. Certain modifications such as VTX shielding and motor timing adjustments in BLHeli are necessary for a safe flying experience. 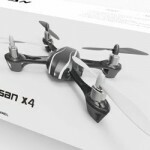 Further adjustments like secure battery mounting, protecting receiver antennas, and soft mounting motors are expected, but do add time from receiving the quad to first flight. 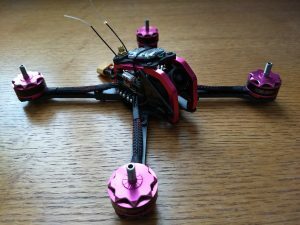 Overall, the Furibee Fire Dancer is a fantastic entry level quadcopter that uses great components for its price range. Modifications are required to get airborne safely, but should be expected at this price point. If you are interested in the Fire Dancer, head on over to Gearbest to check it out! Budget racer that can be found discounted down to $120-140 frequently. Tons of value and a great alternative to other community budget-tier favorites. Overall build quality is solid and uses great components for the price point. After modification, the Fire Dancer is a balanced flier that feels great performing loopy freestyle or accurate twists and turns. Looks great – sleek and compact design that is easy to take to the field! While ready to fly out of the box, we feel many modifications are necessary to get the most out of the Fire Dancer. Many users report issues with noisy video and motor timing problems resulting in death rolls. Both issues are fixable but can be a problem to troubleshoot for unaware pilots. The bundled receivers in the BNF versions are hit or miss. Buying the PNP version and purchasing a separate receiver (or cannibalizing from another quad) may be the better way to go. Thanks to Gearbest for providing us the Fire Dancer for review!